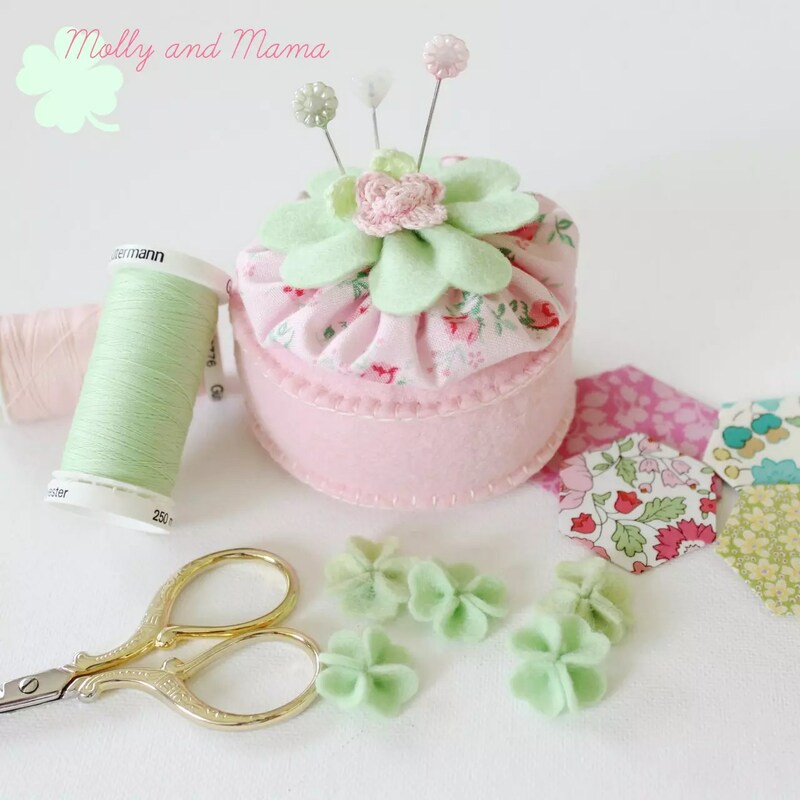 I love this Lucky Pin Cushion, because it’s such a pretty way to incorporate four leaf clovers and Saint Patrick’s Day luck into a pretty sewing project. The whole thing is sewn by hand, so it’s a great portable project too. Plus you can never have too many pin cushions. They make the perfect gift! 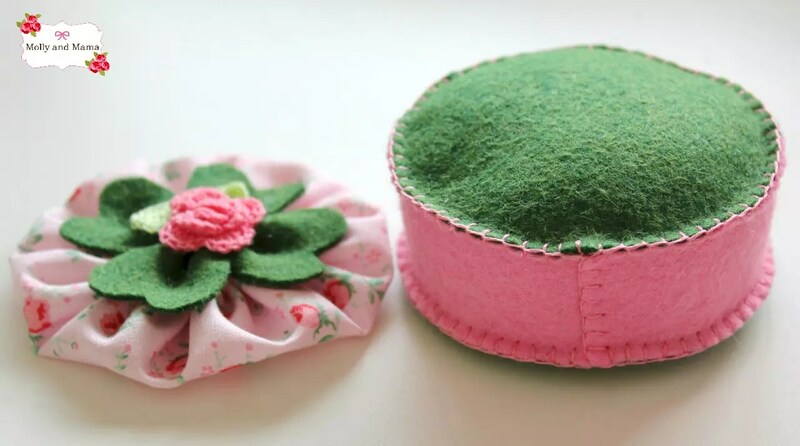 To create this easy pin-cushion, you’ll need to make a felt four leaf clover, then stitch a fabric yo yo, and finally sew the pin cushion base. It’s then a simple task to put it altogether. And most of it can sewn while watching the tv, or listening to your favourite podcast. Cut four squares of felt, each about 1.25″ or 3cm. Fold each square in half and cut a little scallop in the top of each piece using small sharp scissors. You’ll end up with two semi-circles at the top of each piece. Thread a needle with green thread and stitch three small running stitches across the base of each piece of felt. (I used pink thread so that the stitches were easier for you to see). Gently pull the thread to gather the felt. Secure the felt in place with some extra stitches. I like to stitch through each gathered piece again, just to be sure the gathering doesn’t come loose. Your completed four leaf clover will measure about 6.5cm (2.5″ across). Now let’s stitch a pretty yo yo (you may also know it as a suffolk puff). If you haven’t made these before, they are super simple. And I have very conveniently included a link HERE to a previous tutorial that explains exactly how to make them. 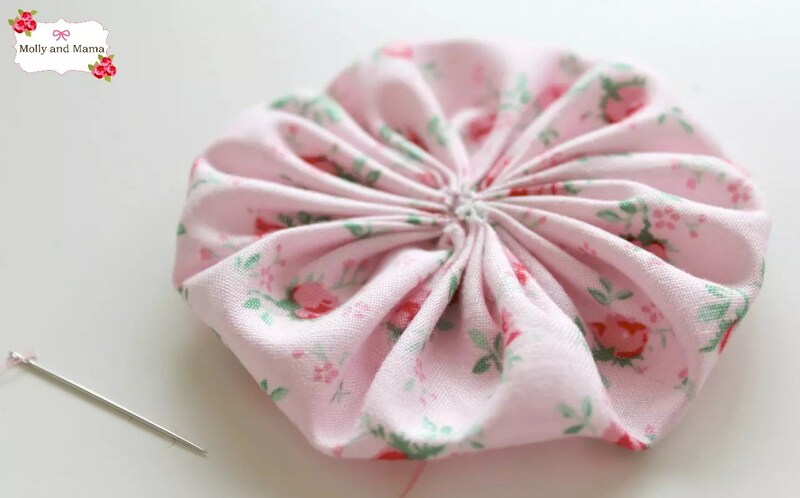 To make the yo yo used for this project, I used a 16.5cm fabric circle. This made a yo yo with an 8cm diameter. But you can play around and choose a yo yo size that works best for you. You simply stitch a running stitch around the outside edge of the fabric, and then pull the thread to gather the fabric into a puff. Flatten it out and secure the stitches. 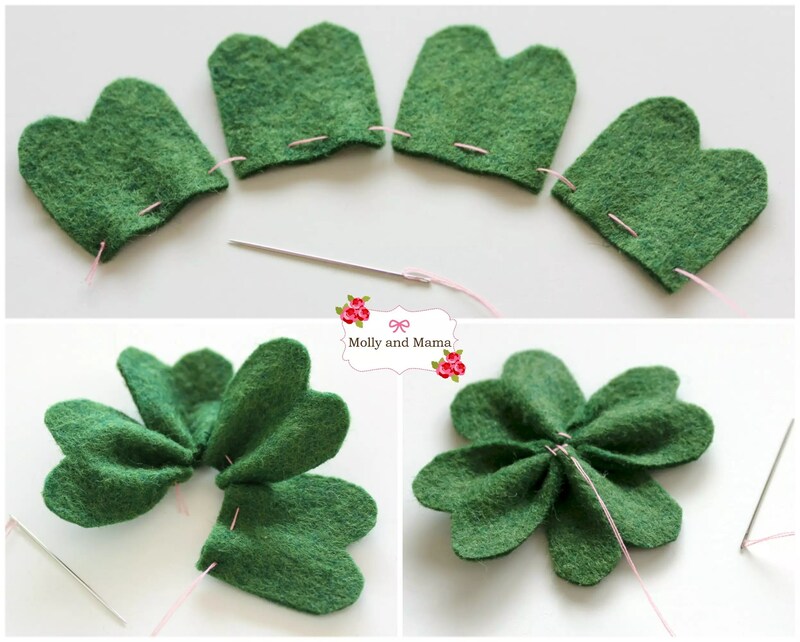 Now all that’s needed is to use some small stitches to secure the shamrock or four leaf clover to the yo yo, and then stitch a flower or button embellishment on the top. I used a pretty little crochet flower on top, but you can use whatever takes your fancy! 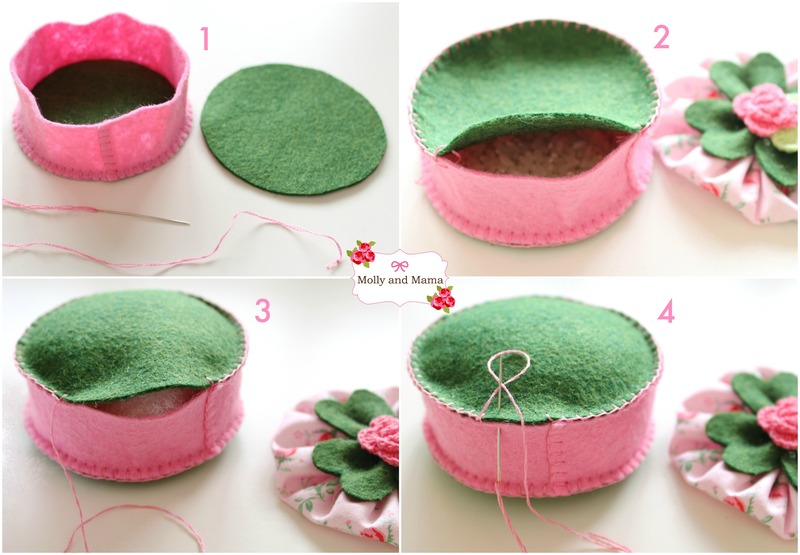 I have already written a super detailed blog post on how to create this type of felt pin cushion base. So if you’re after instructions that cover things with a little more depth, be sure to head HERE. Cut two felt circles for the top and base, with a diameter of 8cm (3”). I used the same green felt as the four leaf clover. 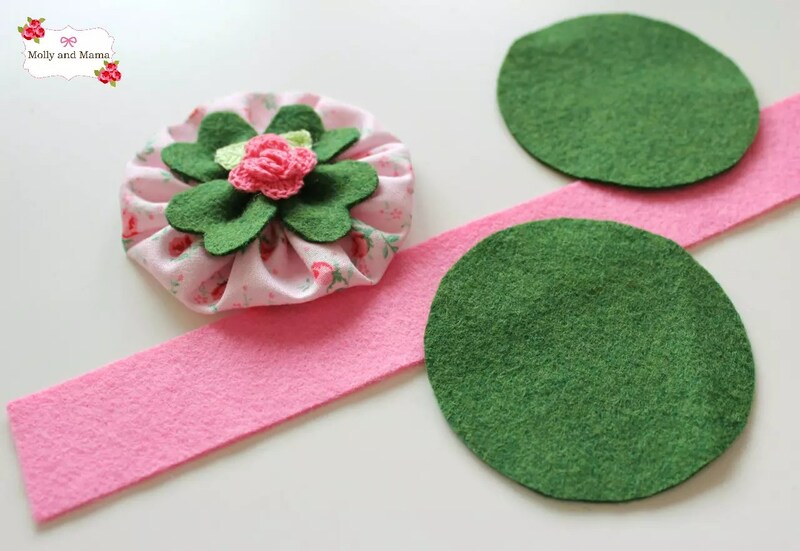 Cut one felt strip for the side of the pin cushion measuring 25cm (10”) x 3cm (1.25”). The shade of pink I chose complemented my fabric and embellishment perfectly. Pin the strip carefully around the perimeter of one circle. This will make the base and side of your pin cushion. I found it easier to pin a section, and then stitch a section, at a time. Thread your embroidery needle with two strands of separated embroidery floss in a shade to match the felt. Stitch the side strip of felt to the base using blanket stitch. Continue to stitch around the perimeter of the base until you reach your starting point. You may need to change your thread once or twice. As a quick refresher, this illustration shows you what Blanket Stitch looks like. Overlap the felt of the side piece by 5mm (and trim away any excess felt length). Blanket stitch the sides together (image 1 below). Pin the top circle of felt to the rim of the pin cushion. Blanket stitch the top in place by starting at the side seam. Change thread when necessary. Stop stitching when you are three quarters of the way around the circle, but leave your thread intact (to continue stitching after stuffing). Fill the base of the pin cushion with a layer of rice. This will add weight (image 2 above). Add polyester stuffing to firmly fill the pin cushion (image 3 above). Continue to blanket stitch the pin cushion closed (image 4 above). 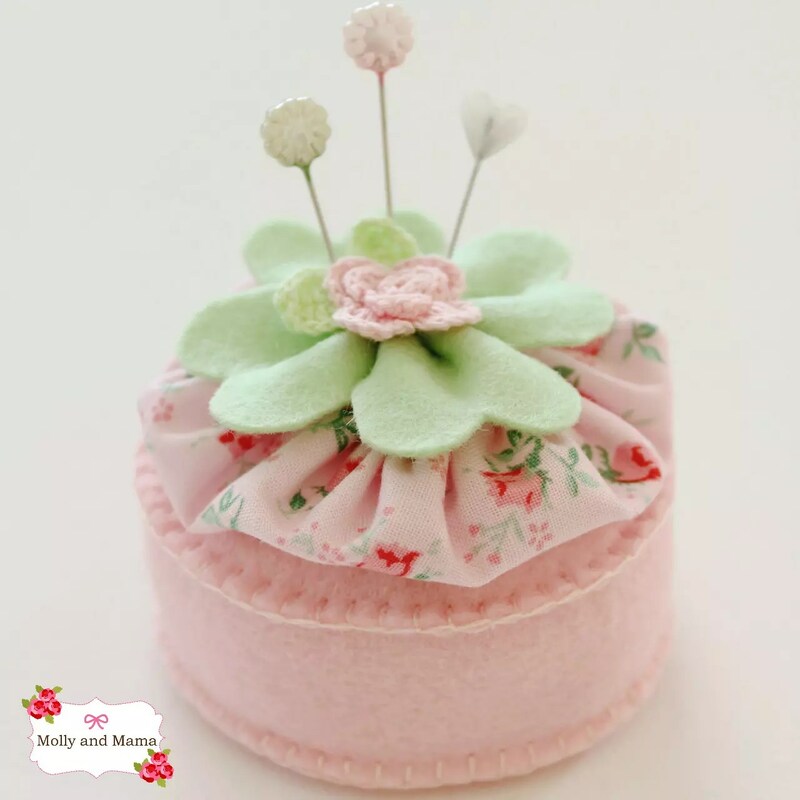 Your completed pin cushion makes the perfect base for any pin cushion project. And it’s so easy to add our ‘topper’. 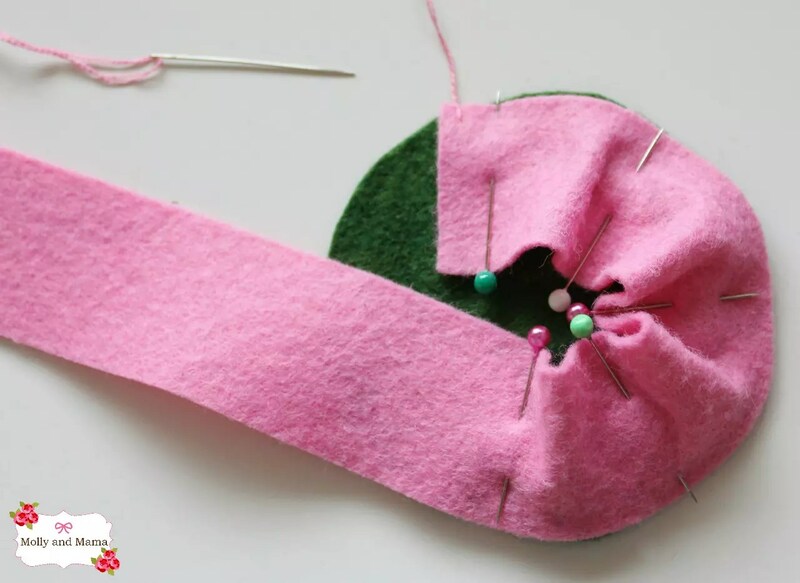 Sew the shamrock and yo yo pin cushion ‘topper’ to the base using small, well disguised stitches. 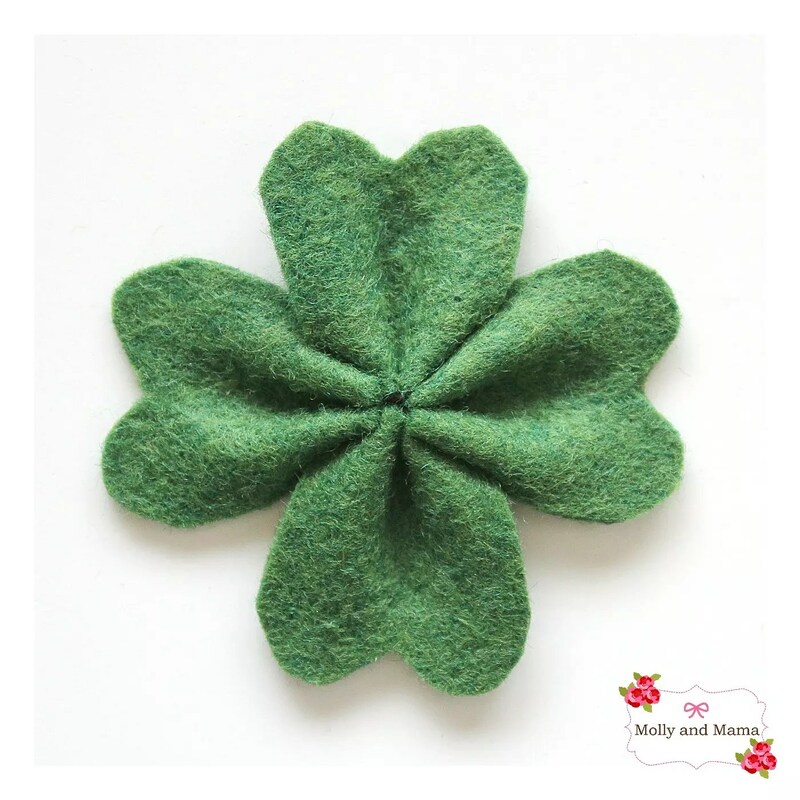 Mine were hidden in the folds of the felt shamrock and in the crochet flower. Once secure, you’re all done! And your pin cushion is all set to take on some sewing pins! Here’s another pretty version I made is pastel shades. 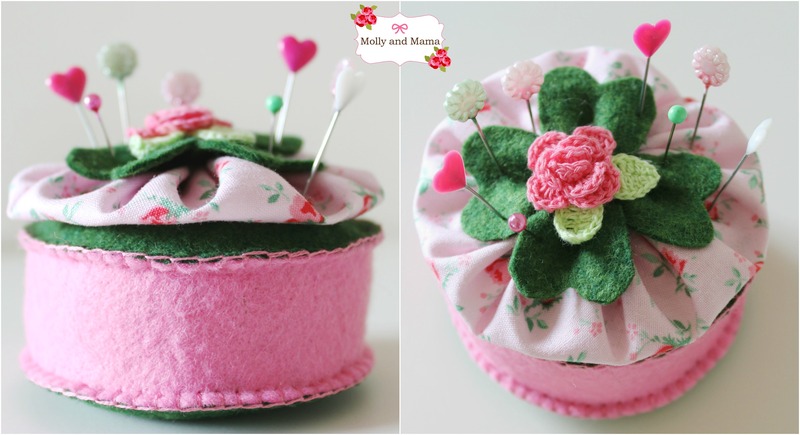 You can also make brooches and hair clips by attaching the pin cushion top to a brooch back or an alligator clip. And surprise, surprise, I have a tutorial explaining how to do that right HERE. 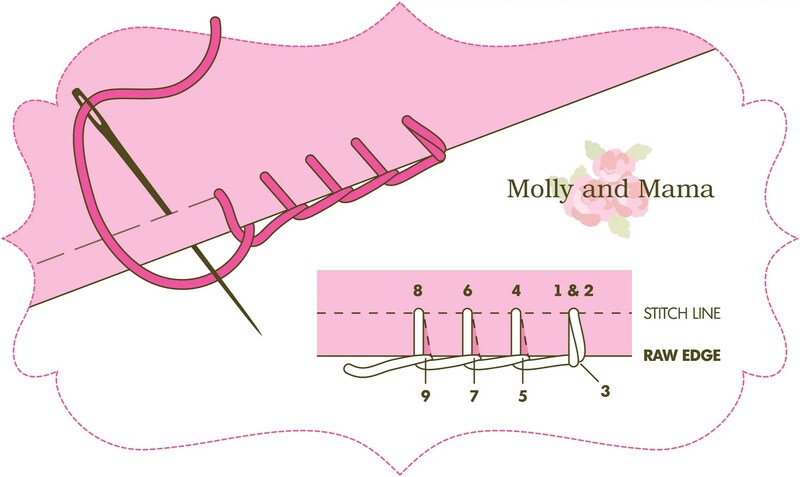 For more tutorials from Molly and Mama, be sure to check out the TUTORIALS tab. The PATTERN store shows all the new softie and applique patterns available at the moment also. Or just pop over to facebook to join the conversation! Happy Saint Patrick’s Day to you. I hope your day is fill of luck! How pretty! I love the base of this. I love the pincushion. About time I used some of the hand sewing techniques I have learnt over the years. Now to find some pretty felt and fabric. Thanks for sharing. Thanks for your kind words Kim!